Quikr, India’s leading horizontal classifieds player, offers a web and mobile based classifieds platform that addresses a wide variety of local needs in 40 cities across India. 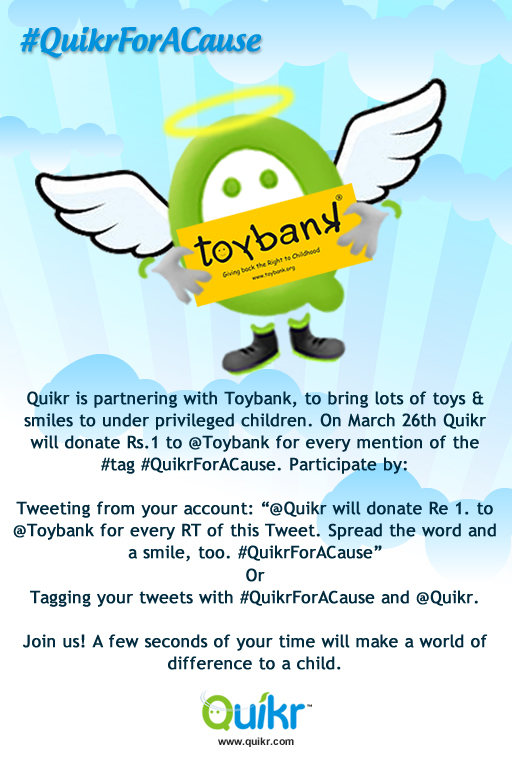 Quikr and Toybank have now joined hands and are launching a one day #QuikrForACause Campaign on Twitter for Toybank! 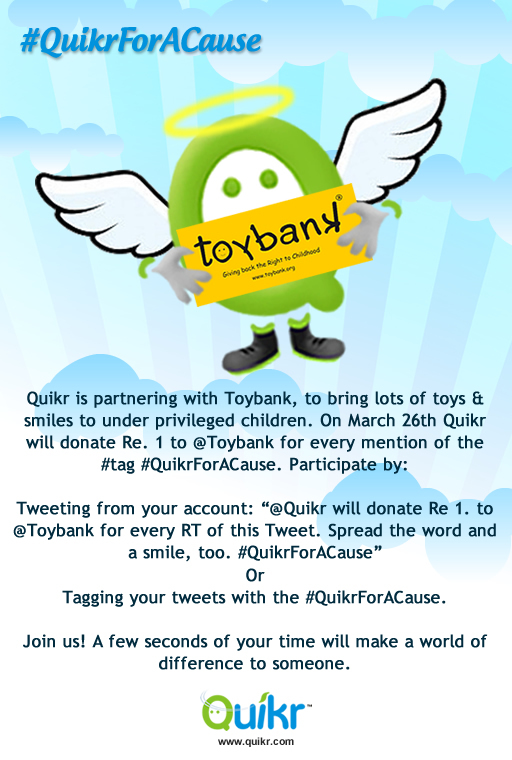 This event is a first of its kind for Toybank and we need your support and help on 26th of March 2012 (that's today!) to make it successful! Join us on 26th of March! A few seconds of your time will make a world of difference to few children! 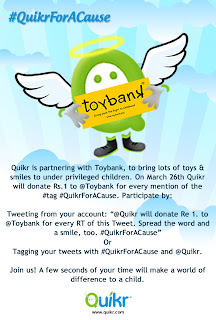 Quikr is now going for a double round since 3 PM today. Volunteer of the month - February 2012!